ABOUT THE GAMEAliens Versus Predator Classic 2000 features the Colonial Marine, Alien and Predator Campaigns and the frenetic single-player Skirmish mode from the original title: Alien Versus Predator Gold Edition, which was released to massive acclaim in 2000. The three most ferocious species in the universe in a bloodthirsty battle for the ultimate prize: survival. Take your pick: be a Colonial … Marine, a Predator or an Alien. Fight through suspense-filled environments: from starships and space stations to colonial bases and eerie planetscapes. 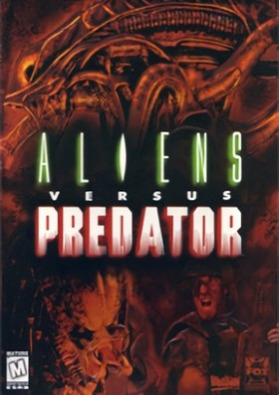 One wrong move turns you from hunter to prey.KEY FEATURES Three campaigns: Colonial Marine, Alien and Predator Includes all the levels from the original AvP Gold Edition plus the Millennium Expansion Pack Skirmish mode against infinite Alien hordes Bonus Episodes Unique abilities, weapons and equipment for each species Scale walls and elevator shafts as an ALIEN with frightening speed as you attack and devour your victims Stalk your prey as the deadly PREDATOR using wrist blades, shoulder cannons and stealth mode Lock and load as a COLONIAL MARINE using motion trackers, grenade launchers and flame-throwers to exterminate your foes Supports Xbox 360 Controller for WindowsSYSTEM REQUIREMENTS Operating system: Windows XP, Windows Vista, Windows 7 Processor: Pentium II 400 MMX Memory: 128MB Hard disk space: 500MB Video: DirectX compatible graphics card Sound: DirectX compatible sound card DirectX®: DirectX 9.0c Controller support? Xbox 360 Controller for Windows Any special multiplayer requirementsALIENS ™ & © 1986, 1999, 2000 Twentieth Century Fox Film Corporation.PREDATOR ™ & © 1987, 1999, 2000 Twentieth Century Fox Film Corporation.ALIENS VERSUS PREDATOR ™ & © 1999, 2000 Twentieth Century Fox Film Corporation. All Rights Reserved. ‘Aliens,’ ‘Predator,’ ‘Fox,’ and ‘Fox Interactive’ and their associated logos are the property of Twentieth Century Fox Film Corporation. All Rights Reserved.